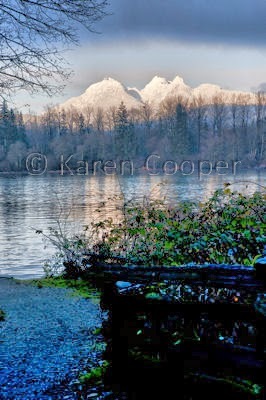 known in the Lower Mainland as Golden Ears. shining in all her splendor. you with her jaw gaping beauty. No doubt it's cold in Vancouver, minus 3 Celsius for us is not the norm. for anywhere else on earth. So beautiful. I used to see this mountain change with the seasons when I was a kid. Nowadays, I can see Grouse and Seymour. Mountains are never very far away here.